Tasmanian salmon producer, Tassal, has been ranked number one in a global report which measures the sustainability practices of salmon and trout companies. The 2016 Sea Food Intelligence Report ranked Tassal number one after examining 150 key performance indicators. 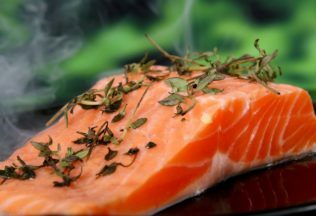 Each year, Seafood Intelligence, an information service for the seafood sector, compiles a new sustainability report on the global salmon and trout industry. The 2016 report stated Tassal was one of only a handful of companies that were providing sustainability reporting leadership. “Tassal is driven by the sustainability of its business, which includes the financial dimension,” the report said. Tassal said an important element of maintaining its sustainability practices was its partnership with the World Wide Fund for Nature (WWF). “Tassal is a great story of an Australian company working for sustainability, and since 2012 Tassal have been certified by the Aquaculture Stewardship Council (ASC) which WWF recognises as the highest global standard for responsibly farmed seafood,” said Dermot O’Gorman, Chief Executive Officer of WWF Australia. Coles supermarket has been forced to recall some of its chicken wings.